Brock Osweiler is giving the Denver Broncos some tough decisions to make. Forget the choice Denver will have to make when Peyton Manning returns from a foot injury. The more important concern, at least for the long-term, is how much money John Elway and company will throw at the 25-year-old Osweiler when his contract expires in the offseason. 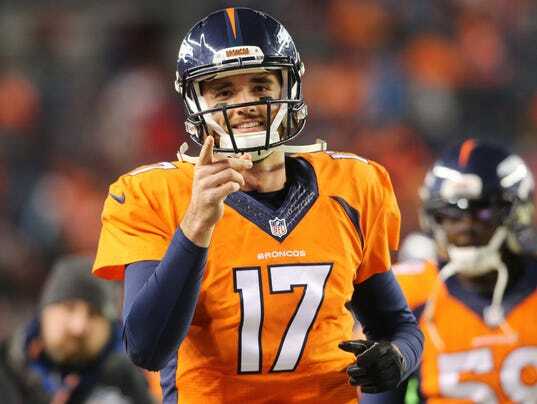 It remains to be seen if Osweiler is a better choice than a healthy Manning, but he has at least proven himself as a player capable of leading a playoff-caliber team. After all, he led the Broncos to a win against the previously undefeated New England Patriots in adverse weather conditions with his top target, Demaryius Thomas, playing maybe the worst game of his career. Even if Manning can return this season, Denver needs a quarterback of the future, and they’ll have to commit a decent amount of money to keep Osweiler in town. But is he worth it? On the field, the 2012 second-round pick has sparked a once floundering offense.